- Wonderful 3D depth illusion. Can be used both ways - as landscape or portrait. 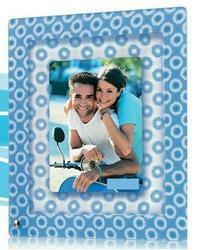 Our firm specializes in offering an excellent range of Dual 3D Photo Frame. - Unique 3D photo frame now comes with a tumbler! Customized 3d photo frames with your company Logo. We are also working with t-shirts, caps, jackets, sweat shirts and other corporate gifting products. One can avail from us a designer Frozen Memories-3D Photo Frame, which is fabricated from premium quality fabrics and offer high comfort. Unique 3D photo frame now comes with a tumbler! 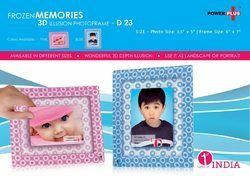 Family Photo Frame Frozen Memories 3d Illusion Photo Frame.Product Features3D Photo Frame Frozen Memories 3D Illusion Photo Frame.